Do you feel embarrassed by missing teeth? Would you like a solution? If you have missing teeth, it creates problems with biting and chewing, and if it’s near the front, you’re likely to be self-conscious as well. I’ve had problems with dentures for years, through my thirties and my forties. Having to break up a sandwich rather than bite it. Couldn’t eat raw vegetables or bite an apple, so I opted for the implants which was suggested. I thought about this for a while and then when the option of 0% finance came available I went for it. Good procedure no problems, it’s changed my life, definitely. I had a full denture for about 10 years and I couldn’t taste any food because of the big plate at the top of my mouth, whereas with the implants you just have a small plate and it’s a lot easier to enjoy your food and bite! Eat normal taste better. I’d definitely recommend others to go ahead. In fact I would recommend it to anybody. 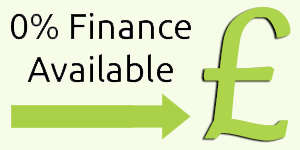 Even if you think you cannot afford it, the finance is affordable and it’s worth every penny. You have the chance to receive a Complimentary Guide to Dental Implants which, reveals how you can finally put an end to denture suffering and missing and wobbly teeth. Just released, the comprehensive new guide reveals medically tested principles and advice on dental implants. And explains how to improve your smile, and move away from ill-fitting, irritating dentures that pop-up, gag you, fly out or get stuck when eating. Download Your Complimentary Guide Today! There are hidden problems too. When you lose a tooth, your jawbone and surrounding tissues start to “resorb” or shrink. This is why the faces of edentulous people – that’s people with missing teeth, including those with full dentures – often have that sunken look. Thanks to modern dentistry, we at Taylored Dental Care can solve these problems with dental implants. Are you struggling with your dentures? Ill-fitting dentures can be a curse, making eating and even speaking difficult, and if you don’t know when they are going to come loose, it can affect your confidence. Many people are now getting implants to stabilise their dentures, bringing back that confident smile. Denture stabilisation is much like a normal dental implant process, beginning with the placement of implants in your jawbone and allowing time for the bone and the implants to integrate. Once that has happened, we use special fixtures to attach your denture to the implants. We assess the state of your gum where the tooth was lost. If you lost the tooth very recently in a traumatic event and you still have it, it’s possible we could put it back in for you. If the gap is older or if you’ve previously had dentures, we sometimes need to prepare the site by doing a bone graft or sinus lift, which will build up the jawbone where the implant will go. As soon as you are ready, we make an appointment to place the implant. The dental implant is placed in your mouth and left for about three to six months. During this time new bone grows around the implant, securing it in a process called osseointegration. A connecting piece called an abutment is added to the implant and a false tooth made to exactly fit and match your other teeth is placed on top. The quality of these restorations is such that you can easily forget which tooth is the false one! Our hygienist will show you how best to care for your implant. There’s nothing complicated but it is important that you maintain a healthy mouth because, as with any other tooth, you don’t want to create problems that may threaten the implant’s stability. Want to know more? Pop your details into the form below for Free Smile Advice to see if you are suitable for Calm & Caring ‘Dental Implants.